A paradise for explorers that makes one discover something new at every turn, Budapest can be considered to be a blessed city. The city has numerous hot springs and is known for the incredible architectural marvels that adorn it. The city is a treasure trove in terms of architecture with its neoclassical, art nouveau, eclectic and baroque buildings. The city is full of surprises and wonder with its majestic river, pretty parks, lively center, lavish spas and tall church spires. Being bored doesn’t remain an option while you are in a city full of secrets with numerous hidden spots to explore. 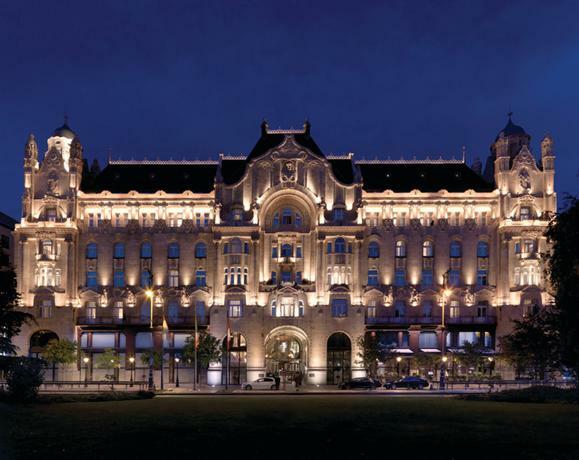 Oozing quality from every pore, the Four Seasons has set a benchmark when it comes to luxury offerings in Budapest. 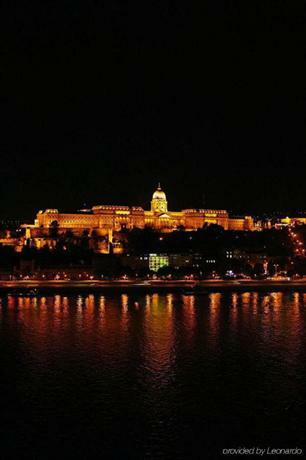 The hotel is ideally placed amid restaurants and shops of Pest. The Castle District is located directly opposite on the other side of the river. The hotel houses 179 rooms which are classically elegant and are of good size. The rooms are equipped with tea and coffee facilities, a minibar and a safe. The Danube categories rooms comprise of balconies that face the Buda Castle Palace. The service staff is quite supportive and ensures that you have a great stay. The hotel had fine-dining restaurants earlier. It recently changed the setup and introduced the Kollázs Brasserie and Bar which is quite relaxed. It appeals both the local public and guests equally. It serves international as well as Hungarian cuisine. 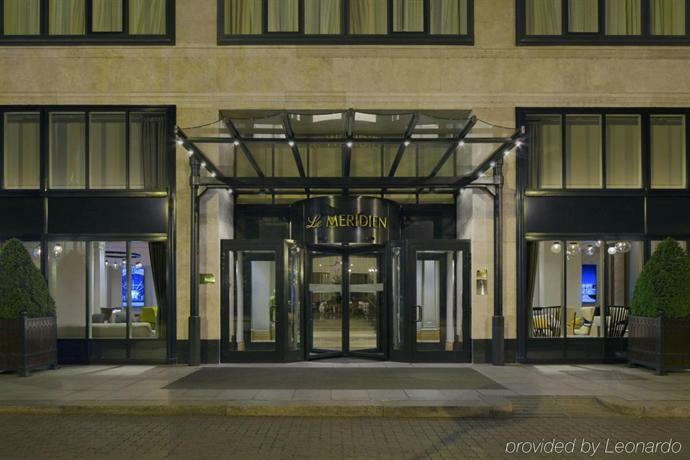 Awarded with the Five Star Diamond Award for the quality services offered, Le Meridien Budapest offers numerous options to its guests in terms of impeccable services and connectivity to the other parts of the city. 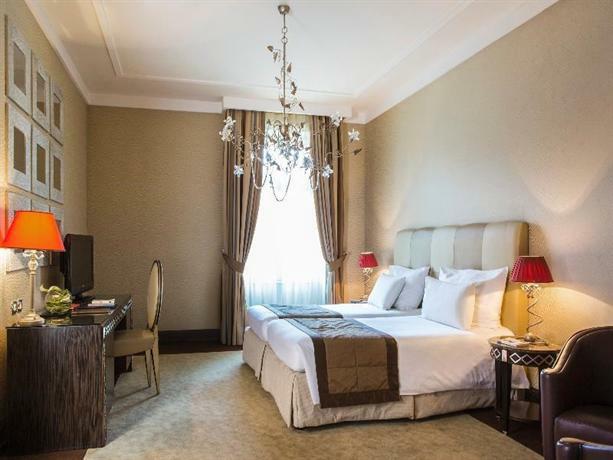 The hotel is located within walking distance from the Academy of Music, The Hungarian Opera House, pubs, clubs and several other attractions of the city. Budapest’s international airport can be reached within 30 minutes by taxi. The hotel houses range of Art Deco suites and rooms. The style is elegant and some of the rooms consist of a balcony which overlooks either the quiet Deak pedestrian street or the picturesque Erzsebet ter. The rooms come with separate shower and a tub. High-speed internet access is offered to all the guests in addition to a complimentary water bottle, DVD player, soundproof walls, safe, air-conditioning, flat screen TV and a lot more. The Diplomatic suites offer amazing views of the Castle Hill which has been listed as a World Heritage Site. The guests can relax in the hotel spa or workout in the fitness center. There is a solarium, beauty salon, steam bath, sauna and Jacuzzi within the hotel complex. There are tennis courts, jogging circuits, pool and basic facilities that can be accessed by the guests for free. French cuisine is served at the Le Bourbon restaurant. The Atrium Café is an ideal place for all-day dining. English high tea, international delicacies, homemade French patisserie are served on special occasions. There is a casual yet elegant bar in the hotel, the Adria Palace Bar that serves 28 single malt scotch whiskeys, cocktails, fine cigars and a lot more. This luxury hotel sits on acres of beautifully manicured gardens. The location is ideal for accessing the prime sights of the city. The insides of the hotel are properly insulated from the hustle and bustle on the streets. Corinthia Hotel houses 414 rooms. The standard superior rooms are classy and comprise of queen-sized beds, marble bathrooms, a safe, a mini-bar and coffee and tea facilities. The executive rooms offer access to the executive lounge where one can indulge in complimentary drinks and snacks. The guests in the superior rooms can make use of the lounge by paying additional charges per day. A separate complex of 26 apartments can be found across the road which is linked to the hotel by a walkway. If you want to get spoilt for drink and food, then the Four Seasons Hotel Gresham Palace Budapest is the place to stay while in the city. This hotel does not have fewer than three restaurants. The Brassiere Royale serves international and Hungarian dishes with seating in the Atrium. The Rickshaw serves Thai, Indonesian, Japanese and Chinese dishes in a plush restaurant. The Bock Bistro specializes in Hungarian tapas and is linked to a prominent Hungarian wine producer. The Le Bar is a wonderful spot for with its comfy sofa seating. One can soothe their sense with the live piano music played every day from 7 pm. Located superbly in the vicinity of the Elizabeth Bridge, the Buddha Bar wouldn’t appeal to everyone. This five-star hotel features an Asian-colonial style which is quite different from the 20th-century place it is located in. the hotel is located in a prime spot where most of the tourist spots can be found in the vicinity. The 102 suites and rooms are decorated in rich reds and create a soothing atmosphere. The superior rooms comprise of showers whereas the deluxe rooms come with rainforest shower heads. All rooms are equipped with Nespresso coffee machines. The food served at this hotel is a fusion of Asian and French cuisines. In-room dining option is as well available. There are numerous places to dine in the vicinity where you can indulge in some authentic Hungarian delicacies. The spa experience offered is one of the best in the city. The Kempinski is a modern hotel, unlike other luxury hotels that have been housed in the 19th-century mansion buildings. You will hardly find any hotel which offers high-end service and is situated in a better location, unlike the Kempinski Hotel Corvinus Budapest. The location is central and three of the four metro lines converge at a station nearby. This implies that you have easy access to the entire city. The 349 suites and rooms are spacious and bright. They feature Art Deco design. The bathrooms include a shower and a separate bath. The rooms house a mini-bar, a safe. The Grand Deluxe rooms are equipped with a Nespresso machine. No charges are levied on children up to the age of 12. There are numerous options available when it comes to refueling. Es Bisztró is an informal place which serves Austrian and Hungarian delicacies. This place is ideal for breakfast. For swankier option, opt for Nobu which is a high-end Japanese restaurant chain. ES Deli serves light bites, coffee, and pastries. 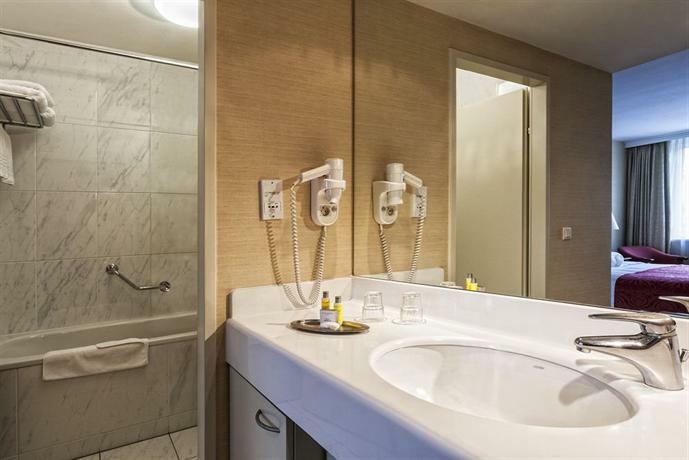 Previously home to public baths, the InterContinental Budapest is one of the classiest four-star hotels in the city of Budapest offering top-notch facilities. Located close to Great Synagogue, the hotel is placed centrally to several tourist attractions. The 272 luxe rooms are spread over 6 floors and have been designed in a luxuriant style. The standard rooms come with shower baths and are medium in size. The Junior suites are larger and feature a separate shower, bath, and a small balcony. All rooms come with a safe, a mini-bar and complimentary coffee and tea making facilities. The Araz restaurant deserves special mention as it serves one of the best meals in the city. This is the only hotel in Budapest that offers incredible views of the Danube River from all its 364 rooms. It is located in the heart of the city. The rooms offer an extraordinary combination of comfort, innovation, and style. They are ergonomically designed and are spacious. The rooms are equipped with all the basic amenities that a guest would require. Peppers Mediterranean Grill is an all-day restaurant with a dining deli counter and an exciting show kitchen offering the best produces of the city. The menu comprises of simple and healthy delicacies crafted from quality ingredients. 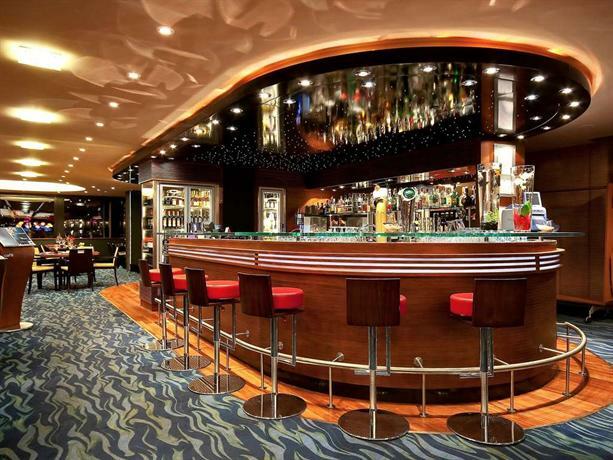 The Aqua Lounge Bar serves a wide variety of artisan beers, range of vodkas and features trendy musical programmes. This space is known for its distinctive design which has been inspired by the lakes and rivers of Hungary. A great variety of fine fruit brandies and wines are served at this brand new bar. The Lobby Café is an ideal place to unwind. It is located on the mezzanine floor of the hotel. It houses a fitness center which offers everything within the field of fitness and health. The Boscolo Budapest occupies a swanky 19th-century building. Located in the heart of the city in the vicinity of Andrassy Boulevard, the hotel is known for the quality services that it offers. The hotel has a free spa area that comes with a hot tub and a relaxation pool. The rooms are spacious and feature luxurious fabrics and Italian furniture. The rooms are equipped with a satellite TV, a safe, coffee and tea-making facilities and a minibar. The spa includes a steam bath, a relaxation pool, and a sauna. There is a fitness center for fitness enthusiasts. New York Café is the heart of the hotel with its gilded stucco columns and wonderful frescoes. Refreshing cocktails and drinks are served at the elegant bar. The Salon Fine Dining restaurant serves reinvented Hungarian cuisine. Seated on the top of the Castle Hill, the Hilton Budapest occupies one of the most heart-thumping spots in the city. The enviable location makes Hilton Budapest one of the perfect spots for sunset strolls. The bars and shops of Pest that are nestled on the other bank of the river can be reached within 15 minutes by bus or taxi. You can also opt for the funicular railway that rattles up and down the hill. The 321 suites and rooms are stylish and feature a contemporary design. All rooms have complimentary coffee and tea facilities, a safe and a minibar. The rooms on executive floor have a separate shower and bath. The Icon restaurant of the hotel wins an award for offerings one of the best dinner views in the city. The menu features international as well as Hungarian dishes. If you are looking for a great spot for a beer then hit the horse-shoe-shaped lounge bar. 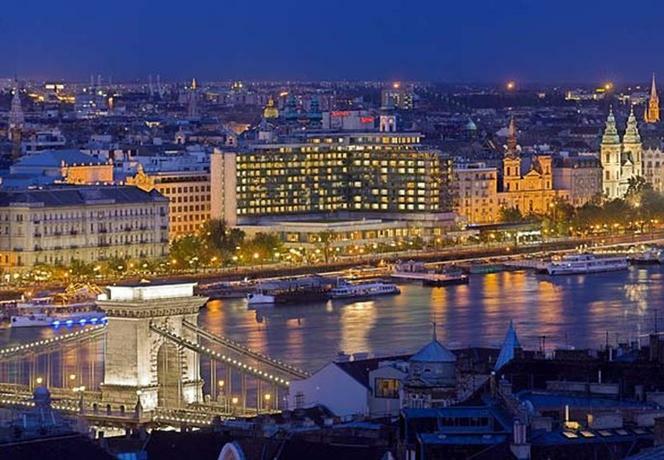 Located on the Pest side of the chain bridge right on the Danube River, the Sofitel offers picturesque views of the surroundings that are bound to leave anybody amazed. 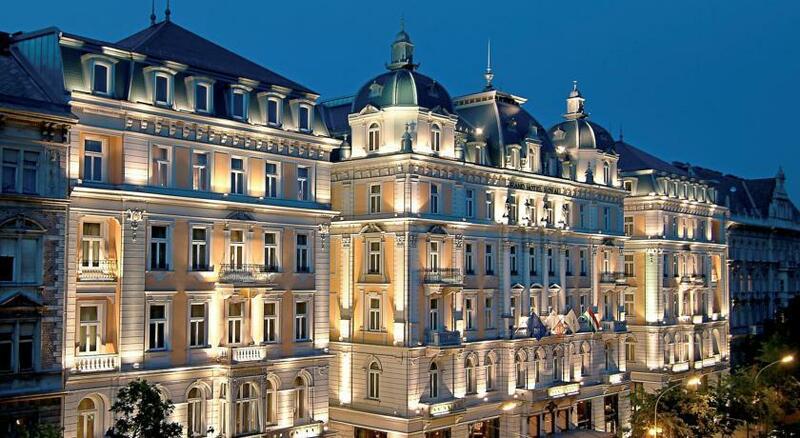 This hotel is located right opposite to the Buda Castle which is a World Heritage Site. The St Stephen’s Basilica, the lively Jewish Quarter and the Hungarian Parliament Building are located within a 15-minute walk from this luxe paradise. The sites around the city can be accessed easily with a tram or bus. The rooms are smart and contemporary. They have a minibar and tea and coffee making facilities. 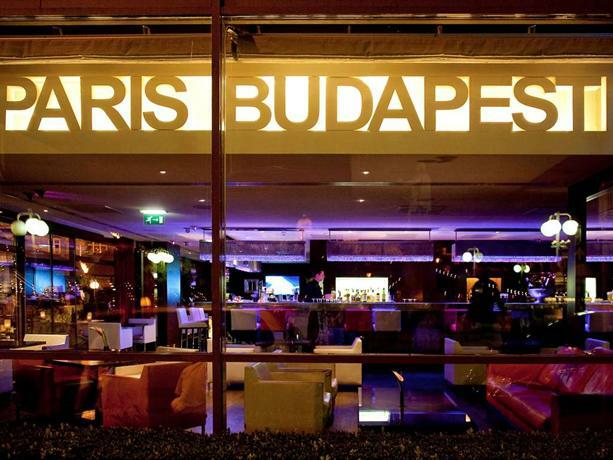 It houses the Paris Budapest Restaurant which offers mesmerizing views of the Danube. The central Terrasse restaurant located in the lobby serves great breakfast. The evening restaurant offers excellent spread of buffet where you are spoiled for choice. Nestled directly on the Danube River bank, the Boutique Hotel Victoria Budapest enjoys an elevated location in the heart of the city. The rooms offer mesmerizing views of the Parliament and the gorgeous Danube. The modern rooms are equipped with an LCD TV, an air conditioning, a private bathroom and satellite channels. The facilities as well include a safety box and a minibar. The guests can enjoy massage services or relax in the sauna. The front desk is at the service all round the clock. The main building serves breakfast. The Hubay Jeno Music Room and Salon serves complimentary afternoon tea to the guests. Occasional concerts are performed at the venue. The Danube can be crossed on the Chain Bridge. The Mathias Church and the Margaret Island can be reached in a couple of minutes by walk. 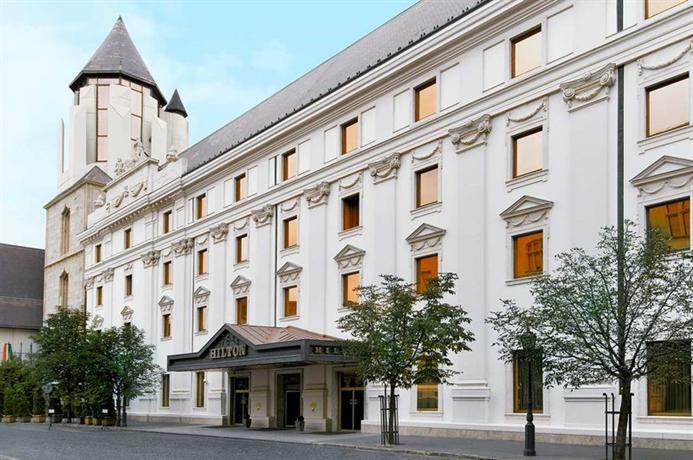 If you want to experience the history and beauty of the city of Budapest, then consider staying at the Millennium Court Marriott Executive Apartments while in the city. 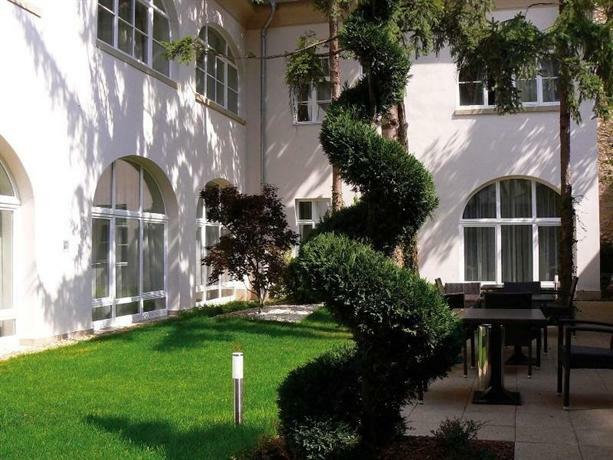 The Marriott Executive Apartments are located in walking distance from the Chain Bridge and the Buda Castle. The apartments are spacious and house an indoor plunge pool, a fitness center, and meeting rooms. There are numerous shopping centers and point of interest around the Marriott Executive Apartments. The guests can choose from studio, two-bedroom and one-bedroom apartments which have been furnished to the highest standard with plush bedding, flat-screen TVs and with a fully serviced kitchen. Complimentary internet access is offered to all the guests. If you want to stay fit, then access the plunge pool or the hotel gym. You can feel right at home whatever brings you to the city at the Millennium Court Marriott Executive Apartments. This four-star hotel is a favorite amongst those looking for a refined accommodation. 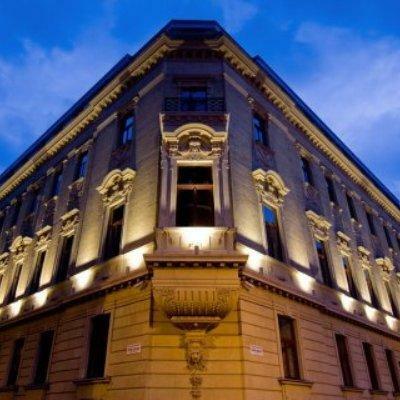 Nestled in an elegant palace that was built by a nobleman during 1899, the Hotel Palazzo Zichy is located in the vicinity of the Parliament building. Seated on a small square at the junction of Maria utca and Krúdy utca, the hotel is located in a convenient cluster of great bars and cafes. The 80 rooms have been laid nicely and feature a contemporary design. The frosted glass bathroom doors have been decorated with architectural details of the palace. The bedrooms are equipped with a mini-bar, a safe, a satellite TV with a DVD player, a chair, and a desk. A selection of cold and hot buffet is served at the Atrium. The lounge bar exudes a homely and relaxed feel with a large TV and comfortable sofa. This 15-century merchant house has been renovated in a sensible manner. The accommodation is large and will never make you forget that you are staying in the medieval quarter of the city. The hotel lacks a restaurant but is surrounded by numerous local options. Seated on a peaceful street on the top of a castle, the hotel is ideal for those who want to be based in the historical heartland of the city. A funicular railway is an ideal option for accessing the city attractions. This hotel houses 25 rooms which have been sized fabulously. The superiors are the biggest of all the hotels in the city. The décor is elegant. The rooms comprise of complimentary coffee and tea making facilities, a mini bar, a laptop-size safe and a writing desk. Most of the bathrooms come with a large bath and a shower attachment. An area across the lobby serves breakfast and also serves as a bar. 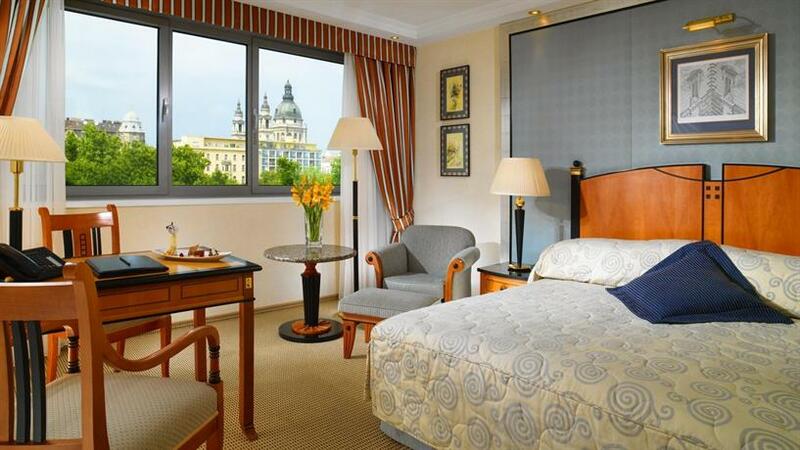 This four-star hotel offers mesmerizing views of the Hungarian Parliament and the river Danube. Located on the Buda side of the river, this hotel offers 175 guestrooms. The guests can request for River view rooms. 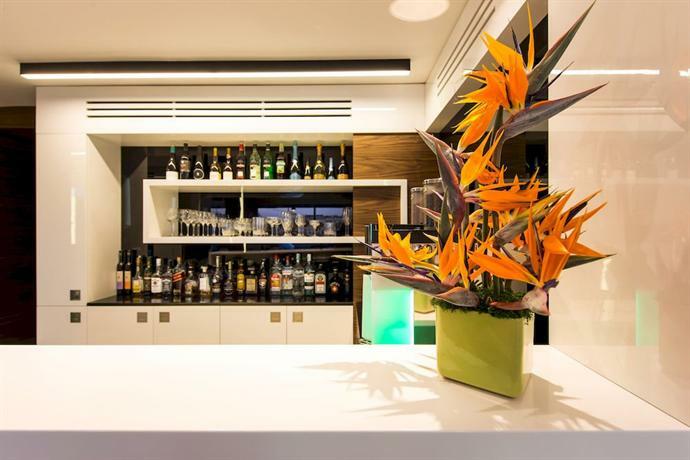 The NOVO2 Lounge bar is an ideal place for social meetings and for business. The hotel houses 4 meeting rooms. The rooms are spacious and are equipped with an electric kettle, a minibar, a flat-screen satellite TV and a lot more amenities. The rooms comprise of a private bathroom with free toiletries, a hairdryer, and a bath. Breakfast is served at the on-site restaurant which operates all round the clock. A sauna and fitness center can also be found on the premises. The Buda Castle can be reached in minutes. The iconic Chain Bridge is located 1.2km from the hotel. The airport is located at 22km from the hotel.